Perhaps no venue on Earth has shaped my taste in music the way Hollywood’s Hotel Cafe has. While I’ve seen legendary shows in cities across the country, the artists’ choice of echoey halls and cavernous rooms often detracts from the experience. Hotel Cafe, on the other hand, is a place where even to this day, you can walk in not knowing a single artist on the bill and you will be guaranteed to like almost every single act. From unknowns to veteran stars, you have to bring your A-game to play the acoustically perfect red room. It was here in the mid-2000’s that I discovered Sara Melson. Her music was raw, compelling, visceral and urgent. Her notes often cracked when her raw emotions were exposed without the gauze of studio tricks. Her white lace dress glowed in front of the red curtain backdrop like an angel in a David Lynch fever dream. While her major label debut, Dirty Mind, was one of my favorites of 2008 (closely ceding the top spot to Against Me’s New Wave), it didn’t follow cafe alumni Sara Bareilles and Katy Perry to the top of the charts. I had trouble even finding it in the stores, scoring my copy only after a staffer at Amoeba Records spent a half hour looking for it in the storage room. I did hear one of her singles (“Anywhere/Anytime”) in a national truck commercial, so all hope was not lost. 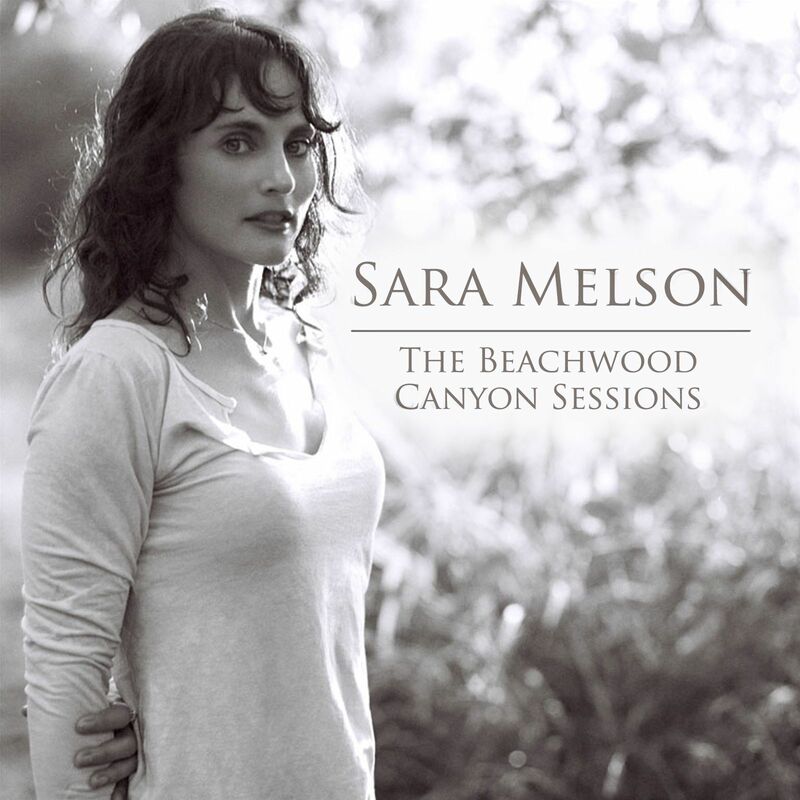 I saw many more Sara Melson shows before I left LA, including a beautiful Summer Solstice performance at the Besant Lodge in Beachwood Canyon underneath the Hollywood Sign. The magic of the show inspired me to get married there a year later. Last week, Sara released The Beachwood Canyon Sessions — a lovely reinterpretation of some Dirty Mind era songs. I caught up with her to find out why she chose to rewrite history her story. “Getting Signed” is all part of the Rock & Roll Fantasy: play the clubs • get signed • fame, fortune, tabloid marriage and excess follow. What went right and wrong with Dirty Mind? Sara Melson: Well it was a mixed bag. It certainly lent a lot of credibility and legitimacy for my record to have come out on Nettwerk. Music supervisors — the people making decisions about licensing songs for film and TV — tend to be kind of snobby about it sometimes, so label cache helps catch their attention. Even in the last three years things have changed tremendously. Nowadays it’s really not necessary to be on a label to get a lot of traction via social networking and whatnot. But at that point it was helpful. Not to mention how gratifying it was to be paid back all the money I had spent on making the album. It was disappointing that most of what they had promised to do for the record, they simply didn’t do. They dropped the ball in a really big way. There were a lot of personnel changes at the label at that time, and my record got lost in the confusion to the point where I didn’t even have a publicist or a real marketing campaign. It was kind of a bummer. This year, you released The Beachwood Canyon Sessions. Wheres Jeff Lynne (ELO) and Def Leppard are pursuing note-for-note remakes of their popular work to reclaim control of their master tapes, you elected to reinterpret a selection of Dirty Mind era songs. What inspired the musical direction of the new arrangements? My singing and playing is just head and shoulders above where it was a few years ago. I really love these new versions. In addition, I wanted to strip down the productions and make them simpler and more direct. I added a new bridge to “Never Been Hurt” as well as changed some lyrics in the chorus and parts of the melody. It was really fun experimenting. All my favorite artists from Dylan to Bowie to Neil Young have many different versions of their songs. Amy Winehouse, Adele and Taylor Swift have turned heartache into gold records. Even Tristan Prettyman’s new single is about her broken engagement to Jason Mraz. How does it feel singing about the relationship(s) that inspired “Never Been Hurt” and “Hard Pressed” all these years later? How go the sessions for the new album? The new album is basically done! I’m gearing up to release it in mid-March ideally. It’ll be called A Million White Stars. Are your new songs coming from a place of heartache, hope or bliss? I’d say that my new songs are spiritual and reflective in nature. Themes are hope, acceptance, love, faith… But I don’t hit anyone over the head with obvious preaching… I try to be subtle! Production-wise and even emotionally, there is a very wide range on this record. There are also a few co-writes, which was a lot of fun. It made me stretch beyond my comfort zone to collaborate with other people. I have a song called “Kiss Kiss” which is very pop. It’s something very different from what I’d normally write. I wrote that one with Ethan Gold. The lyrics are pretty raunchy; it’s just a fun departure from my norm. Then again the record has its share of haunting piano ballads and really soothing James Taylor-ish acoustic tracks too; so it’s varied. Hopefully it will all hang together somehow! All the songs represent different aspects of my personality, which is pretty diverse. Will you be releasing it yourself or will you dance again with a label? Any advice to other singers before they sign on the dotted line? Just make sure you are incredibly on top of EVERYTHING yourself, do not depend on anyone to do anything for you. I’d also recommend having a great manager. I didn’t and suffered the consequences. You’re playing the AIMP Showcase in Los Angeles on October 24th, will it be just you and a guitar or a full band? Will any new songs make it into the setlist? Not a full band for this one, but I will be accompanied by a super talented young guy called Glen Martin who pretty much plays everything. He and I switch off on piano and guitar and our voices blend together SO beautifully… I’ll definitely be playing new songs, yes! Beachwood Canyon is steeped in Hollywood history. Like Jenny Lewis of Rilo Kiley, you spent many of your early years on-screen. Do fans ever recognize you from your memorable turns on 90210 or Frasier? Do you feel your character on 90210 blazed a trail for the portrayal of gay youth on TV? Bigger threat to civilization: Honey Boo Boo, Global Warming or a Romney/Ryan White House? Global Warming and a Romney/Ryan White House would pretty much go hand-in-hand, no? Scary!! 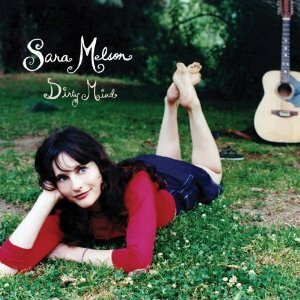 The Beachwood Canyon Sessions and Sara Melson’s original album, Dirty Mind, are both available on iTunes and Amazon.